Pie Day 2017 was a huge success! 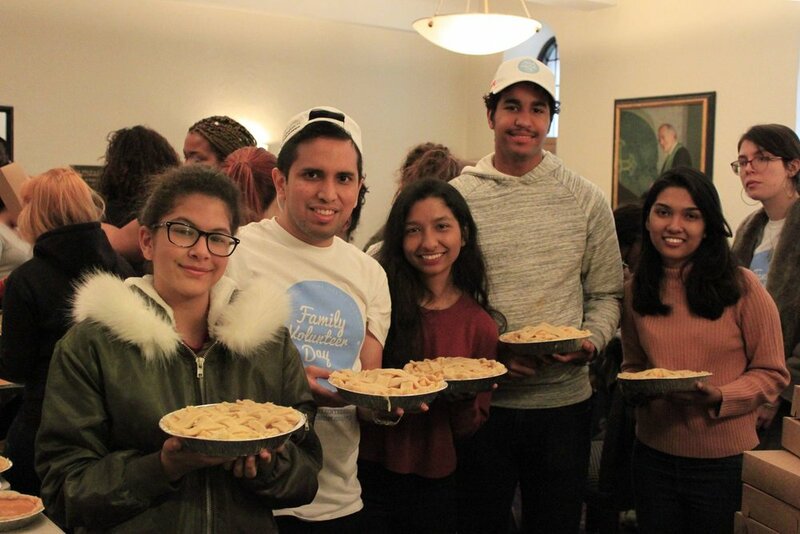 Project Rousseau’s sixth annual Pie Day celebration was the perfect kickoff to the holiday season in both Nashville and NYC. Over a hundred students baked pies to donate to local homeless shelters. The day started out bright and early at 9am as the volunteers rolled in ready to bake! Students, families, and friends gathered together to turn out pies. We made dough, filled the pies, decorated them with lattice, and watched as they came out of the oven cooked to perfection! In the end, we made over 440 pies in total, breaking Project Rousseau’s record in previous years! A big thanks to everyone who came ready to bake and serve the homeless community of NYC and Nashville! © 2016 Project Rousseau Inc.
Project Rousseau is a 501(c)(3) organization. Gifts are tax deductible to the full extent allowable under the law.